How Old Are You? is a completely different film from the last Rosshan’s Andrew’s film I watched, Mumbai Police. Rather than a complex murder mystery, this is a small domestic drama that nonetheless deals with weighty topics such as empowerment and never losing sight of your dreams. It could easily have become preachy given the subject matter but writer duo Bobby-Sanjay keep it light and close enough to home, making it easy to relate to the main protagonist. The title is perhaps a little misleading, since it’s not really Nirupama’s age that’s the issue, but rather her routine life which is slowly grinding her down. The film is the comeback for Manju Warrier and like Sridevi in English Vinglish she brings experience, maturity and a little glamour to a role which seems to suit her very well. 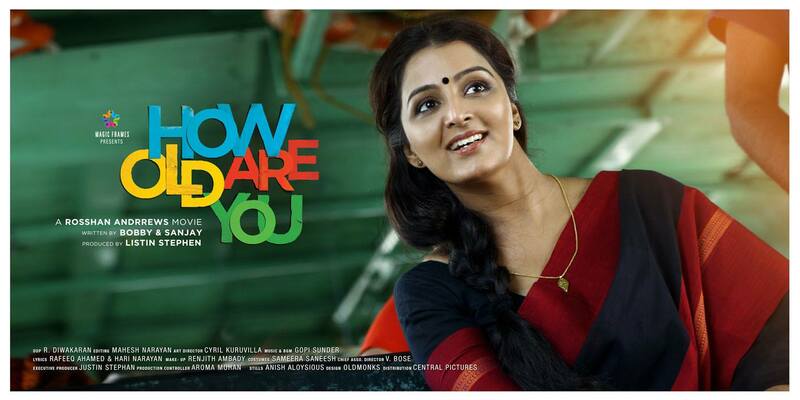 Nirupama (Manju Warrier) is a government employee who isn’t at all engaged in her work. She has no empathy for her clients and secretly reads magazines before going home to look after her family. At the start of the film she is rejected for a job in Ireland due to her age (actually that would be illegal in Ireland – you cannot discriminate against someone due to their age) which means that she won’t be able to accompany her husband Rajeev (Kunchacko Boban) and daughter Lekshmi (Amrith Anil) in their move overseas. Rajeev is fairly unpleasant, but in a way that doesn’t stand out as being unusual or even abusive. He doesn’t notice when Nirupama has changed her hairstyle, and when it’s pointed out to him, he doesn’t like it. He expects his wife to be there and make his dinner, but also to be able to work and earn money during the day. To cap it all off, when he’s involved in a motor vehicle accident he persuades Nirupama to say she was driving to make sure it has no effect on his visa application. But apart from his chauvinistic attitude he’s not a difficult husband. Rajeev and Nirupama seem to have a good relationship and chat amicably about their daughter and their respective workdays without any acrimony. Basically it seems like any other relationship where the wife does what the husband wants because that’s just the way it is, nothing more and nothing less. However the planned move overseas puts a strain on their relationship, and Lekshmi in particular is obnoxiously bratty about her mother’s failure to get a job in Ireland. One day Lekshmi is part of a group of school children who get to ask the Indian President some questions and so impresses the President that he asks about the origin of her question. 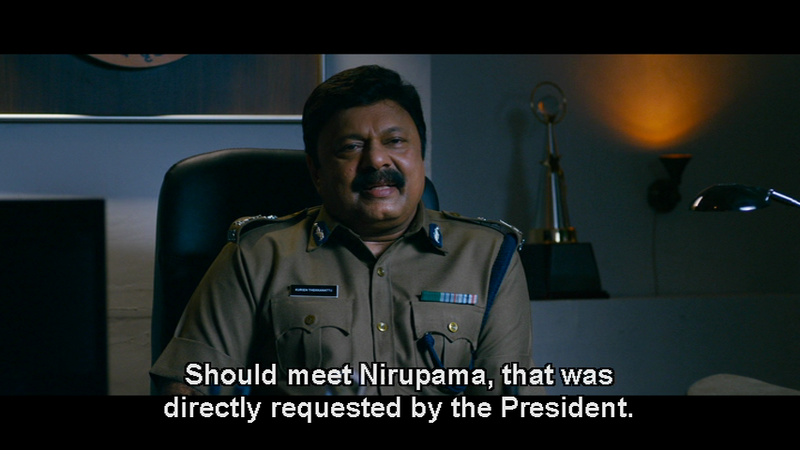 When Lekshmi explains it was from her mother, the President (Siddartha Basu) requests a meeting with Nirupama. Unfortunately things don’t go well, and Nirupama finds herself being ridiculed on social media and teased by her work colleagues. This makes her relationship with Lekshmi even more difficult and it seems that no matter what she does, nothing will ever be right. Part of the reason why I feel the film resonates so well is that most people have been in a similar situation at some time in their lives. We’ve all done something stupid, or something we regret and at the time it seems as if there is no way out of the mess without further embarrassment or loss. 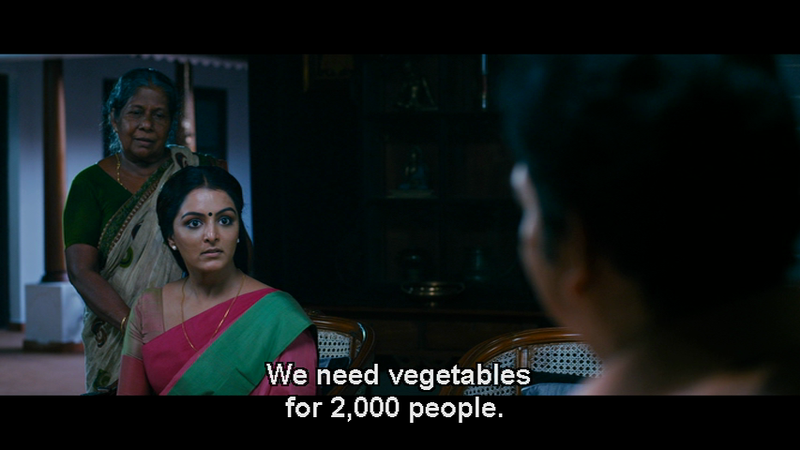 At any rate, I could definitely relate to Nirupama and her feelings of inadequacy, along with her increasing need for reading glasses and her discovery of grey hairs! Nirupama’s notoriety allows a former University classmate to track her down and Susan (Kanika) is dismayed by her friends humdrum life. 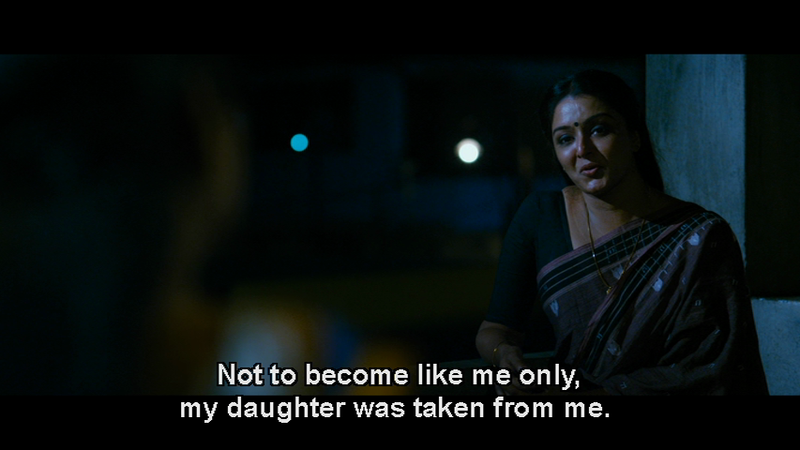 She reminds Nirupama that she was a firebrand and activist at University with plenty of ambition and drive to succeed. Along with the absence of her family who have moved to Ireland as planned, Susan’s memories provide the motivation for Nirupama to kick-start her life. 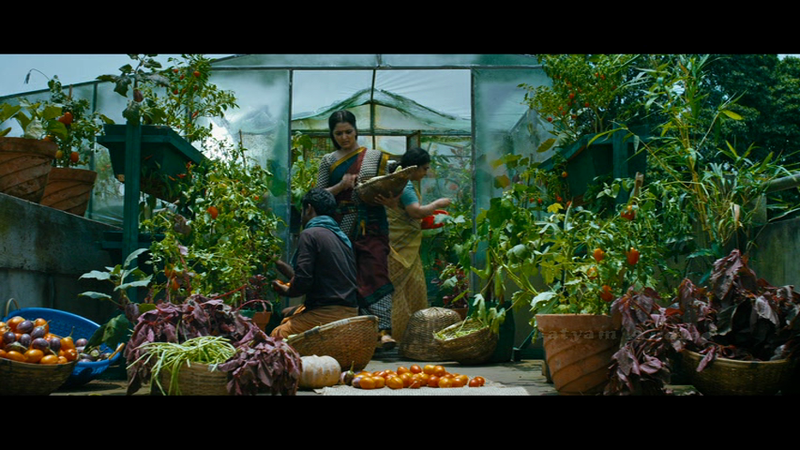 She stands up to her husband and makes a new career for herself – in the process allowing the film makers to add in some valid points about organic farming and the benefits of city food production. There is a side story involving an older lady who gets the same bus as Nirupama each day. Although the two don’t really know each other, Nirupama helps Madhaviyamma (Sethulakshmi) when she is ill, and gets more out of the relationship than she expected. I would have liked there to be more of Madhaviyamma and her problems, but sadly most of her relationship with Nirupama is skipped over. Mainly the friendship is a plot device to allow Nirupama to realise that she is not the only one with difficulties, and that in fact her problems are rather trivial compared to those of Madhaviyamma. Madhaviyamma also provides the inspiration for Nirupama’s business venture but there is not enough of Sethulakshmi, who does a wonderful job with her role. There are a number of other familiar faces who appear as part of the support cast, including Vinay Forrt, as one of the office workers, while Thesni Khan and Jayesh Pazhanimala are good as friends of Nirupama. 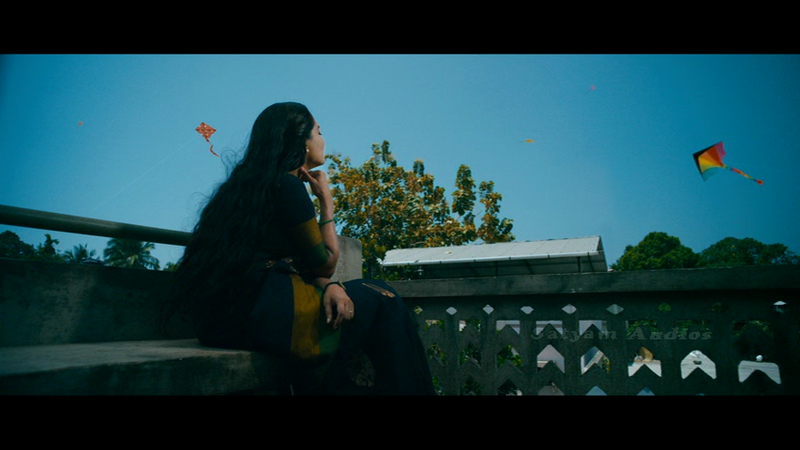 Kanika only appears briefly as Susan, and it’s a strength of the film that Susan doesn’t change Nirupama’s life for her. Susan is after all more successful with plenty of connections and the ability to give Nirupama a new job or bail her out financially, but instead it’s Nirumpama who comes up with the idea that turns her life around. It’s all Nirupama’s dream, her vision and she is the one who sets to and organises everything. With a little help from Madhaviyamma and her boss Seetharama Iyer (Devan). Although mainly the film is realistic in the portrayal of relationships and in the intimacies of Nirupama’s life, the plot is occasionally rather too fanciful. The episodes with the Indian President seem unlikely, although the fuss and security around the visit is plausible, and the whole Immigration plot is generally rather nonsensical. Nirupama also seems to turn her life around rather more easily than I expected. However, the basic idea of a woman caught in a rut of her own devising is one which appeals, particularly when the character is played so skilfully as here. I felt most of Nirupama’s reactions were accurate in portraying how an average person would behave in similar situations, and her ideas and new business venture seemed to fit her general persona. It’s always good to have such a powerful female figure as the lead in a film, and How Old Are You? has a strong message and excellent cast too. 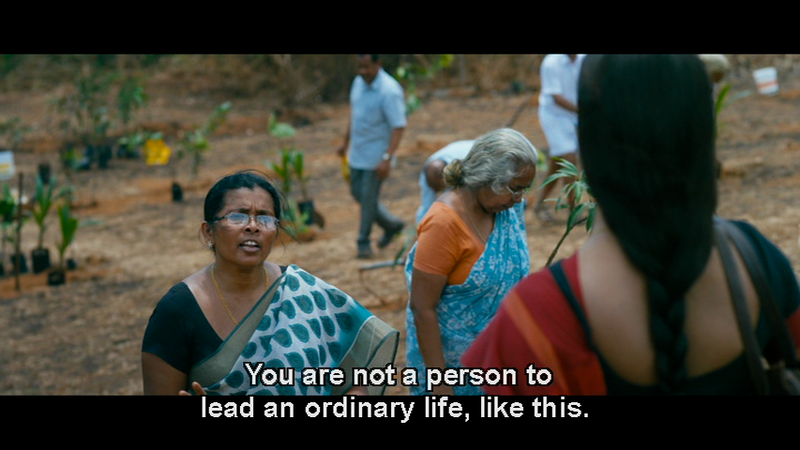 Well worth a watch for Manju Warrier, Sethulakshmi and the idea that you’re never too old to change your life. 4 stars. This entry was posted in Mollywood and tagged Amrith Anil, Bobby-Sanjay, Devan, How Old Are You?, Jayesh Pazhanimala, Kanika, Kunchacko Boban, Malayalam, Manju Warrier, Roshan Andrews, Sethulakshmi, Siddartha Basu, Thesni Khan. Bookmark the permalink. 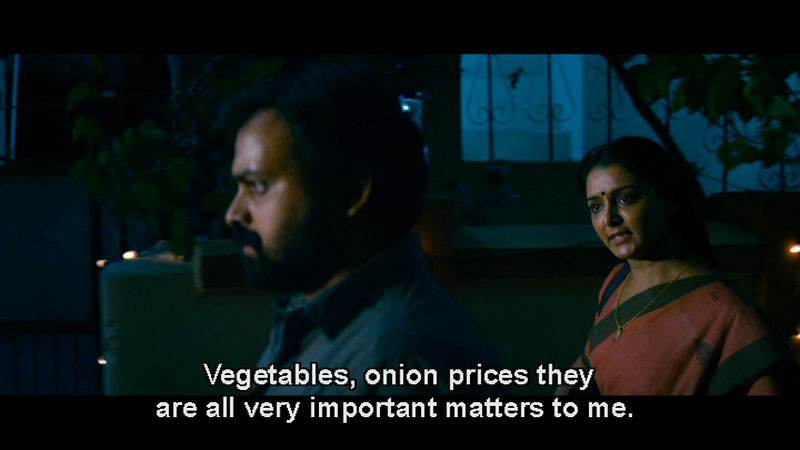 The problem with the film was they decided to pitch on terrace farming, which has been around in Kerala for donkey’s years. One doesn’t suddenly mobilise people into giving up their real estate even if it is for something that benefits them, and the whole ‘organic farming’ speech she made in front of the audience was laughable – organic farming is not new to the State. (I come from there!) They don’t need a housewife activist to tell them about the harm pesticides do – average farmers have been making a shift to organic farming for more than a decade now.